Applications and instructions to applicants may be obtained in the Human Resources Department of the Unified Government of Wyandotte County/Kansas City, Kansas, 701 North 7th Street, Rm. 646, Kansas City, Kansas 66101 between the hours of 8:30 a.m. and 4:00 p.m., Monday through Friday. Online applications will not be accepted for the Deputy position. Responsibilities Include: The day to day operation of the county jail and provides charge and custody of the Adult Detention facility. Successful interaction with inmates, enforces the rules and regulations of the Wyandotte County Detention Center, and ensures the rights of inmates are protected under the constitution of the United States. Responsible for transporting prisoners to appear before a judge or stand trial for crimes committed. Housing consists of minimum and maximum security levels. 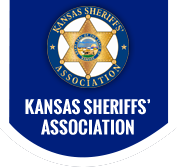 The Wyandotte County Sheriff’s Office is a full service law enforcement agency. Minimum Qualifications: Applicant must possess a High School Diploma or GED, 21 years of age by date of hire. Valid Driver’s license, United States Citizen, No misdemeanor convictions involving moral character, perjury or false statements as outlined in the Kansas Statute (KSA 74-5605) and no chronic record of misdemeanors, felony convictions, or convicted of certain domestic violence related offenses. The approximate starting salary is $3,147.21 per month. Testing for the position of Deputy will be conducted on a monthly basis. Applicants sitting for the written examination are required to score 70% or above and pass the physical agility within 1:38 seconds in order to proceed in the process. Applicants are required to submit an application along with required documentation prior to the testing deadline to reserve a seat. Seats are limited to 15 per test dates. Confirmation of test location and time will be provided to the applicant at time of application. Testing dates are subject to change. Failure to attend any portion of the testing will result in disqualification. Click here to download the employment application, plus additional information about the position and requirements.